Jeremy Tredinnick is a Hong Kong-based writer, photographer and editor. Born in London, England, he fled his homeland straight out of school, intent on getting a taste of more exotic worlds in all their glory. An inveterate traveler, he eventually found his niche in Hong Kong, where he has split his career between bouts of Asian travel, writing features and making images for many of the region's top travel magazines and newspapers. 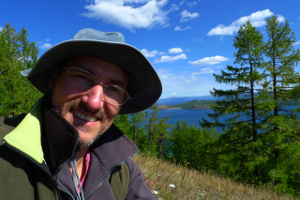 He is the author, main photographer, and editor of several Odyssey guides, listed below. When not producing books, he writes and photographs for top travel publications such as Travel + Leisure SE Asia, TIME, Conde Nast Traveler, Action Asia, Discovery and Silk Road.